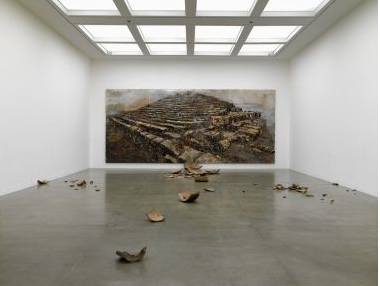 Currently on view at the White Cube in London is Anselm Kiefer‘s Karfunkelfee and The Fertile Crescent, featuring two new work by the renowned German artist. The artist continue to reflect upon the violence and paradoxes of human history in his work offering abstract images that emphasize the cycles of creation and destruction. 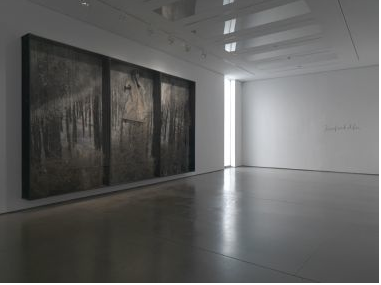 The exhibitions are staged at the White Cube Mason’s Yard and White Cube Hoxton Square making them the largest gallery showing of Kiefer’s work to date in London. 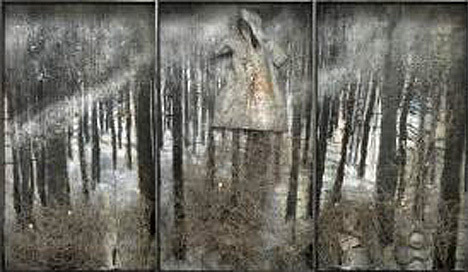 The artist displays a series of forest diptychs and triptychs enclosed in glass vitrines at Mason’s Yard. ‘Karfunkelfee,’ the title of these works, refers back to a poem by the post-war Austrian writer Ingeborg Bachmann: “On the Golden bridge, only he who might know the fairy’s secret word can win. I’m sorry to say, along with our last snow, it melted in the garden.” For Kiefer the associations are mythical and very ambiguous. “The interesting thing about the Karfunkelfee or ‘Karfunkelfaerie’ is her ambiguous appearance. She can be a fairy godmother as well as the evil one. The description of the Karfunkel stone itself is paradoxical. It glows bright red at night but cannot be seen by day. It is associated too with the ergot which renders grain black and often causes severe famine,” he told the White Cube. At Hoxton Square Kiefer presents a group of epic paintings entitled “The Fertile Crescent.” They were inspired by a trip he took to India fifteen years ago when he fell upon the rural brick factories. Mud bricks are piled one by one on top of each other on a seemingly ancient pyramid or other monumental sculpture. Such works were made from the photographs the artist took while in India and result in rich multi-layered paintings which continually ponder the meaning of re-birth and destruction. 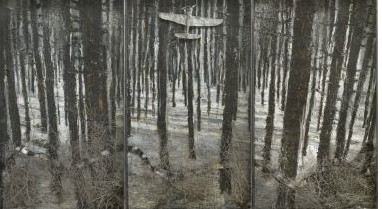 Anselm Kiefer was born in 1945 in Donaueschingen in Southern Germany. He has lived and worked in France since 1991. Now regarded as one of the most influential artists today his paintings, drawings, and installations have appeared in numerous exhibitions all over the world in some of the most prestigious private and public collections. Recent projects include the Grand Palais, Paris and the Guggenheim, Bilbao. In 2007 he became the first contemporary artist to install work at the Louvre in Paris since Georges Braque fifty years prior. 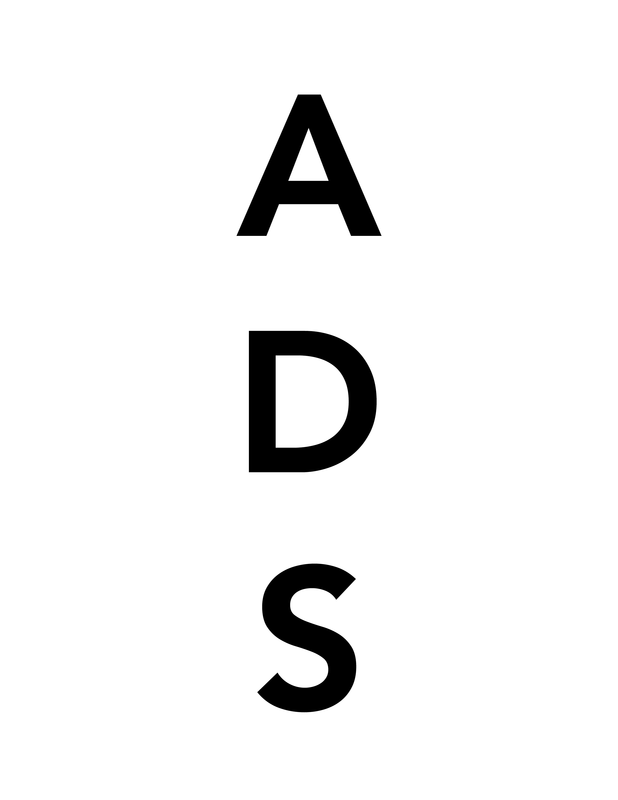 This entry was posted on Sunday, October 25th, 2009 at 1:28 pm	and is filed under Art News. You can follow any responses to this entry through the RSS 2.0 feed. You can leave a response, or trackback from your own site.